Based on art by George Perez and sculpted by Joe Menna, this New Teen Titans Wonder Girl Multi-Part Statue brings the iconic comic cover to life. 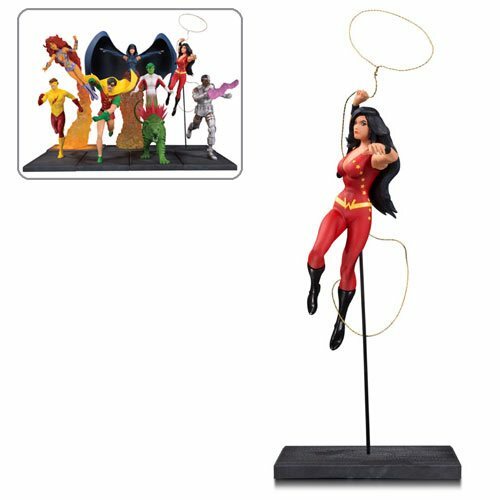 The New Teen Titans Wonder Girl Multi-Part Statue is a limited edition of 5,000 pieces and can be displayed alone, or with the rest of the Teen Titans (each sold separately) to tell the story of this young superhero team. Wonder Girl measures over 10-inches tall and is made of polyresin in 6-inch scale. Ages 15 and up.